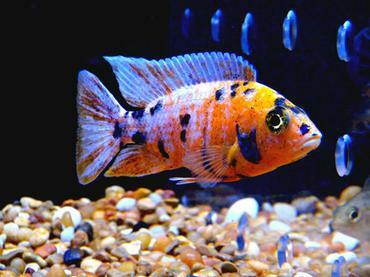 African cichlids are a favorite among aquarists due to their interesting behavior, relative ease of breeding for many species, and bright coloration. 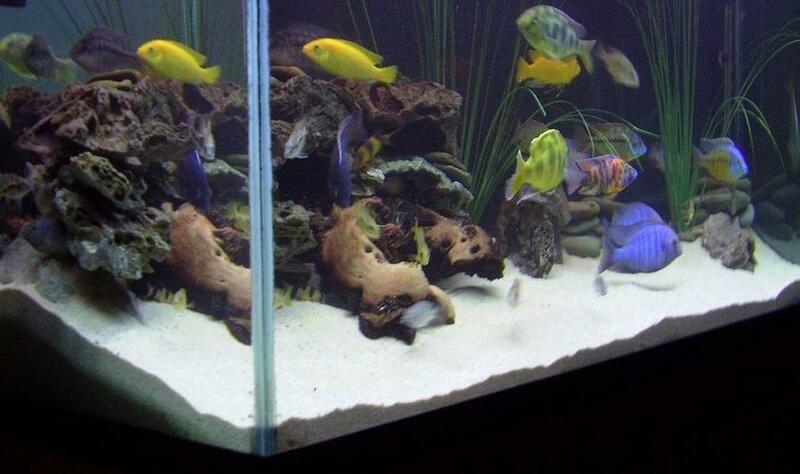 However, many cichlid aquariums end in disaster due to poor planning. 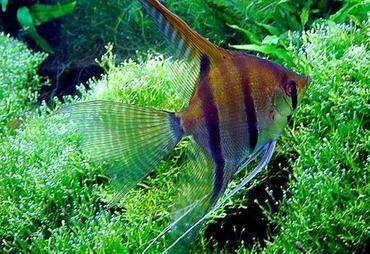 Proper planning is required because many of the species native to the rift lakes of Africa are very aggressive. 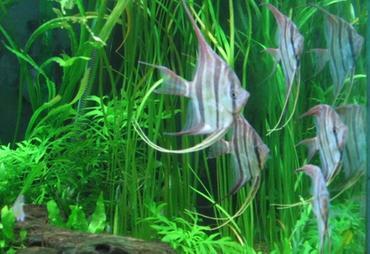 While this aggression can never be fully eliminated (and who would want to? 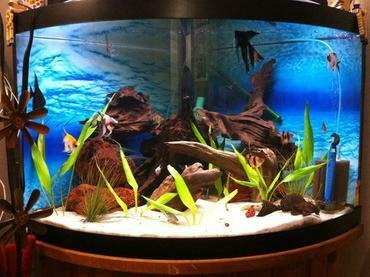 – it is one of the things that make these fish so interesting), it can be reduced such that you do not come home one day to find half your tank wiped out. 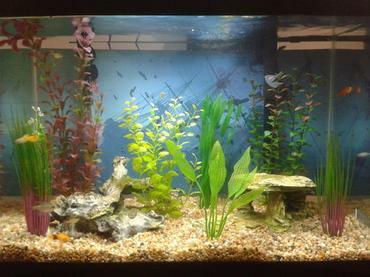 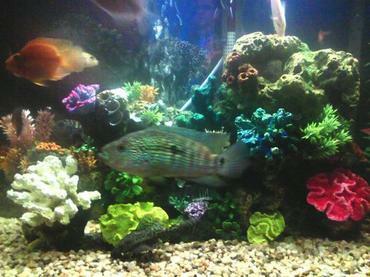 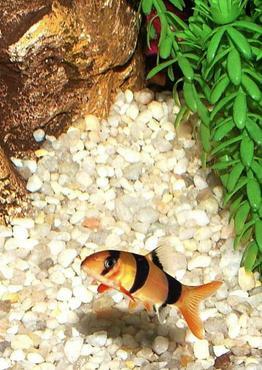 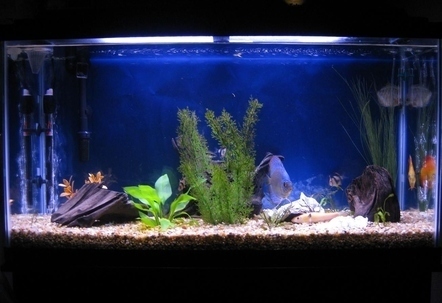 The main methods used to reduce aggression include combining fish with similar size and temperament characteristics, combining fish with different coloration and patterns, appropriate feeding, combining fish that occupy different levels in the aquarium, providing enough horizontal space, providing adequate cover, sexing your cichlids, overstocking, and rearranging your aquarium. 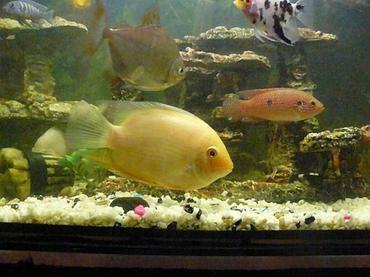 African cichlids can vary widely in their adult sizes. 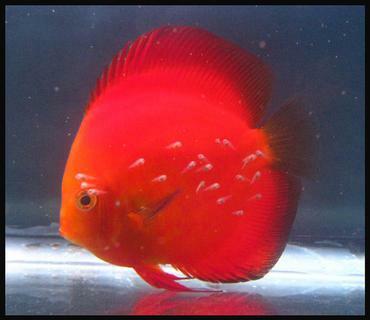 This is important to remember because most are sold as juveniles and they all look the same size at this stage in their lives. 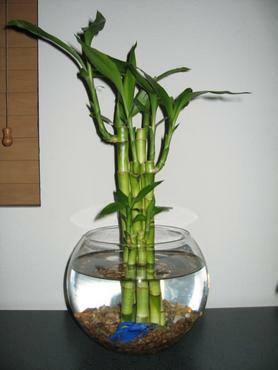 You need to do some research before you buy any species so you can make sure not to combine a species that will reach 10” with one that will reach 4”. 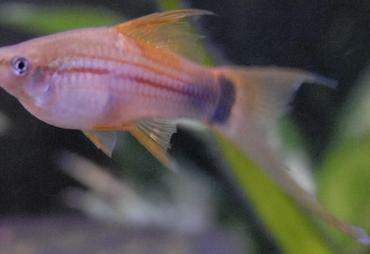 If you do not do the research, the 4” fish will become a snack. 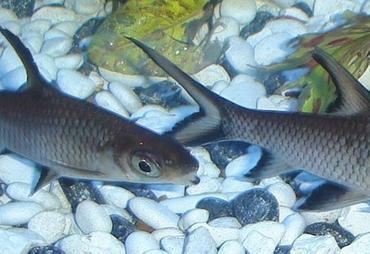 It is also important to ensure that the species are of similar temperaments. 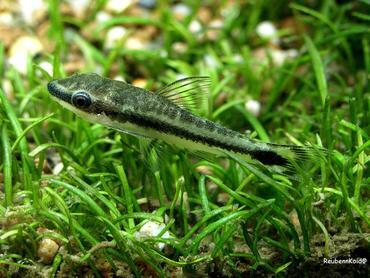 If you combine a highly aggressive species with a rather docile one, the aggressive one will make quick work of the other fish. 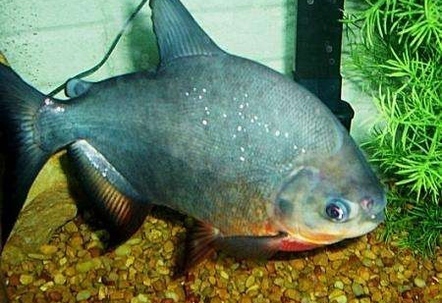 However, if you combine two aggressive fish, they will both be able to fend for themselves and no one will end up being picked on. 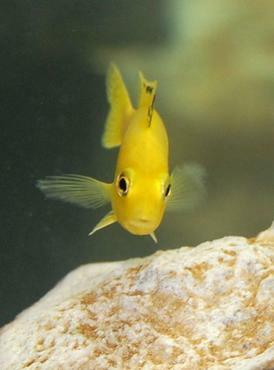 Keep in mind that individual temperament varies from one fish to another, but certain species have a greater likelihood of getting along with other fish in the tank. 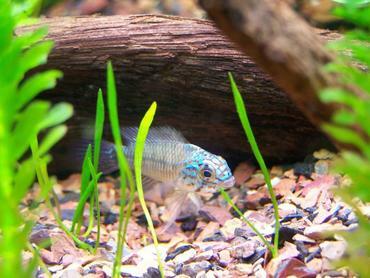 In the wild, African cichlids tend to look at others within their own species as competitors. 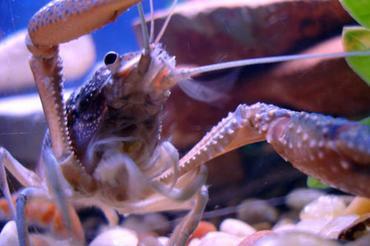 They will often leave other species alone while constantly harassing their own. 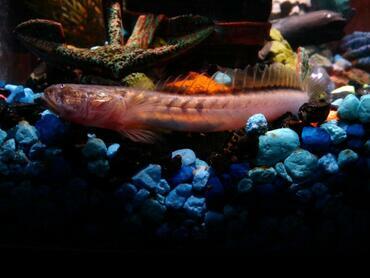 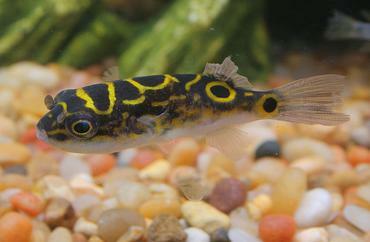 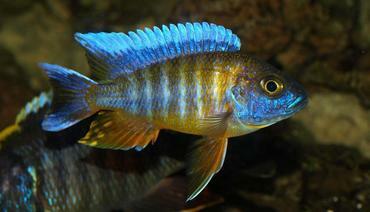 Cichlids look at the color and patterns of other fish to see if they are the same species. 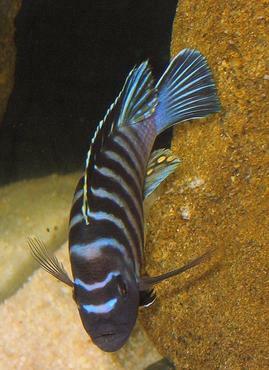 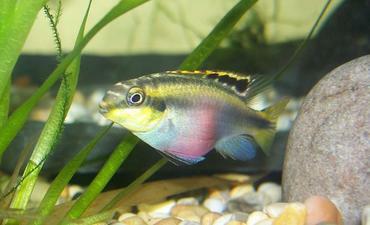 For instance, if you have demasoni (a black and blue striped cichlid from Lake Malawi), it would generally be unwise to combine it with other blue fish or other vertically striped fish, especially when the other fish have these characteristics, but do not have the aggression of a demasoni. 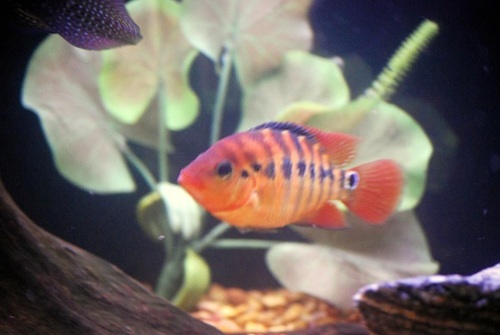 There are thousands of cichlid species with a multitude of colorations and patterning so you should have no problem finding species that differ in these two areas. 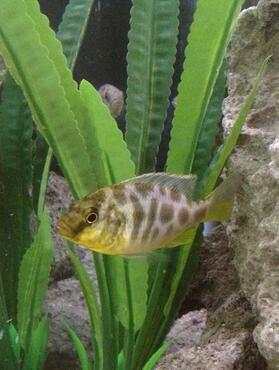 One of the major reasons (besides mating) that cichlids are so territorial is due to food. 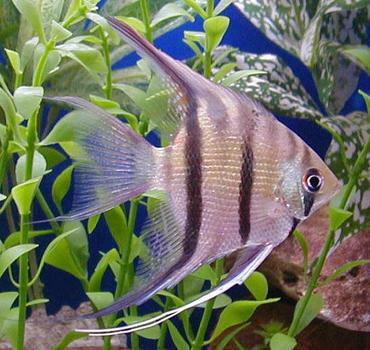 If they find that food is scarce, they are more apt to be aggressive and guard their territory. 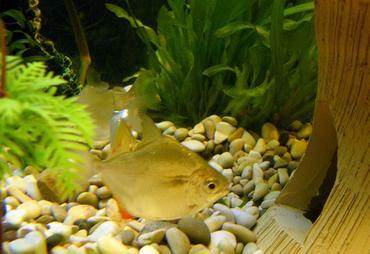 If food is easy to find, their aggression is reduced somewhat. 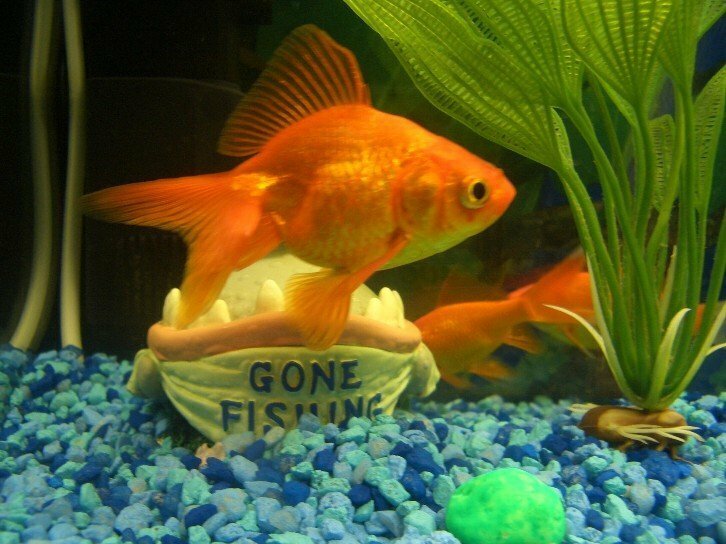 Now, this is not meant to endorse overfeeding. 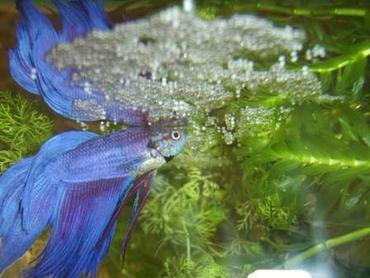 Instead, it is a reminder to stick to your daily schedule of 2-3 feedings with each occurrence lasting several minutes. 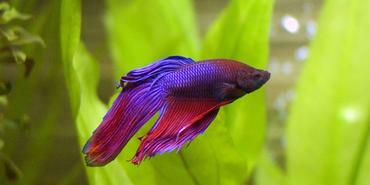 Many people also consider it a good idea to fast their fish for a day every so often. 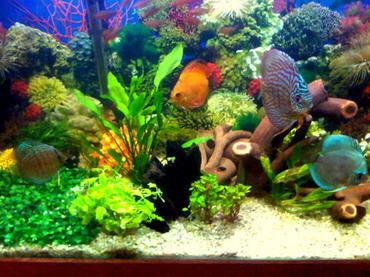 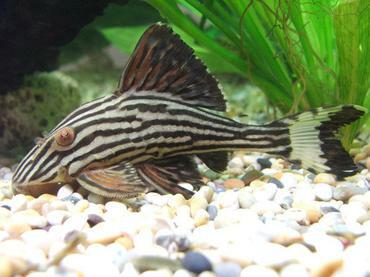 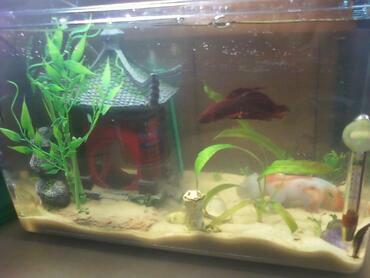 Just be sure not to feed your fish sporadically or aggression in your tank could increase. 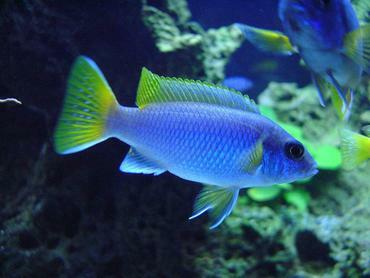 While it is true that many African cichlids occupy the bottom of the aquarium, there are different species that live in alternate zones. 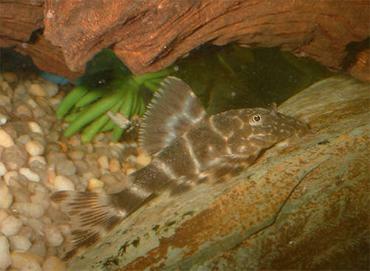 In nature, there are fish that live along the rocky shores and there are ones that swim in the open waters. 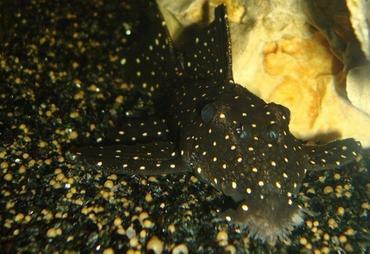 There are also ones that live on the sandy bottom. 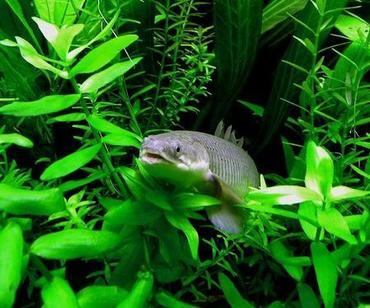 If you set your tank up to include each of these regions, you may find that the fish will not stake out the same territories. 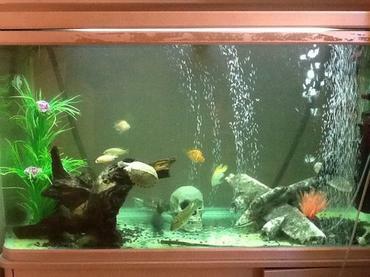 This will obviously reduce the amount of aggression in the tank. 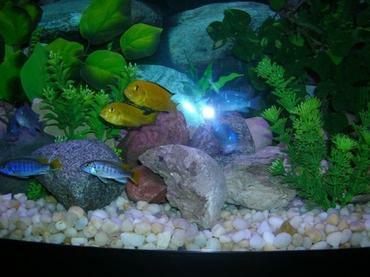 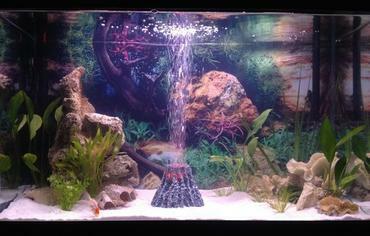 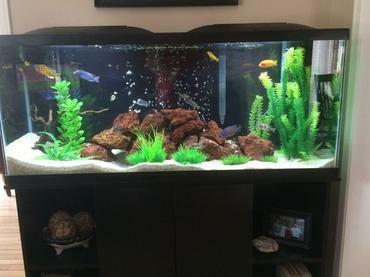 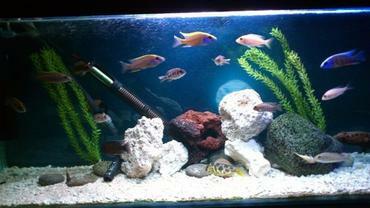 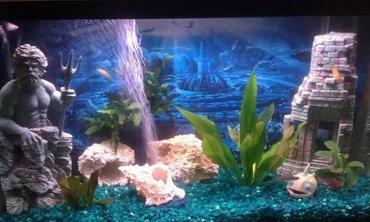 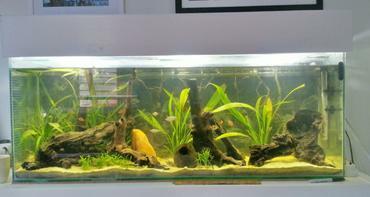 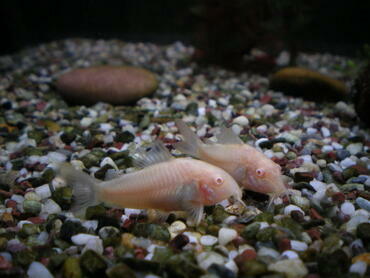 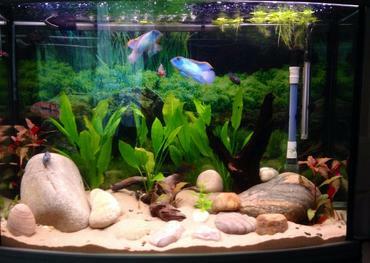 If the cichlids you choose mostly occupy the bottom of the aquarium, horizontal space will be at a premium. 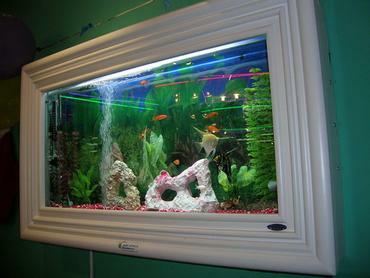 For this reason, having a great deal of vertical space does little to reduce aggression. 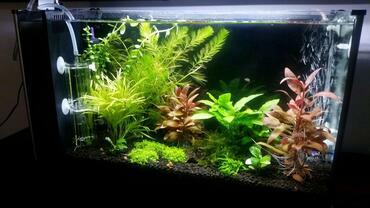 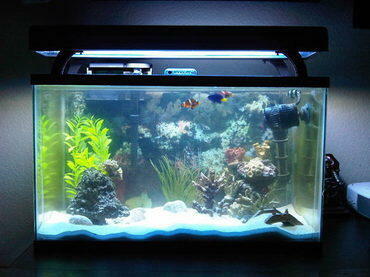 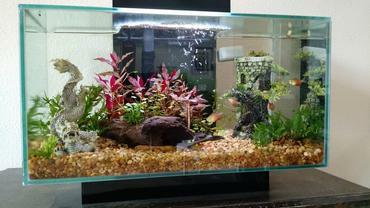 Instead, it is better to have a shorter tank that is long. 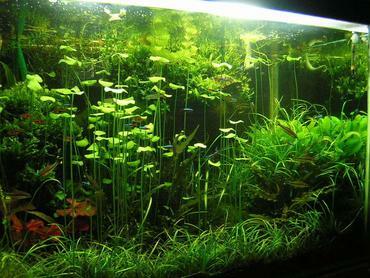 The extra length will allow you to provide multiple caves along the bottom of the aquarium and each individual fish should have enough space to carve out his own area. 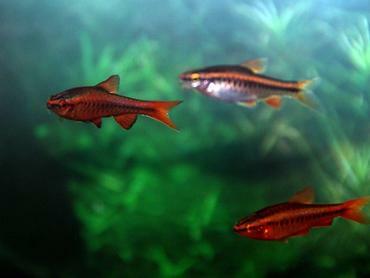 If the fish are not forced to fight for prime real estate, they are less likely to be aggressive towards each other. 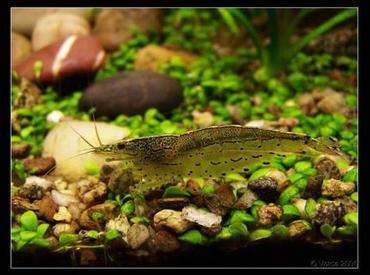 If you keep species that are native to a rocky biotope, it is important that you provide them with numerous rocky areas in the aquarium. 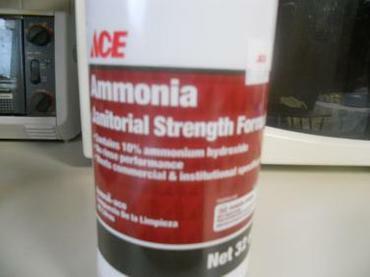 This will serve two purposes. 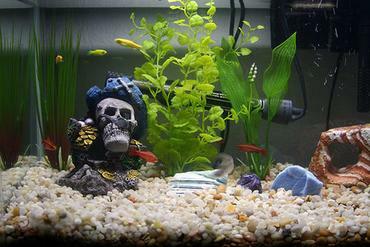 First, it will provide them with numerous caves so they will not have to fight over a few. 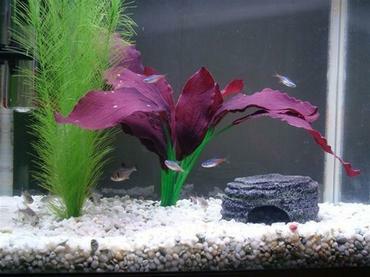 Second, it will provide fish that are being harassed with cover so they can escape the dominant ones. 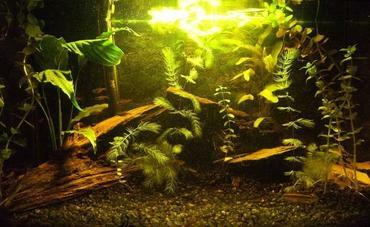 It also simulates their natural habitat which they are sure to appreciate. 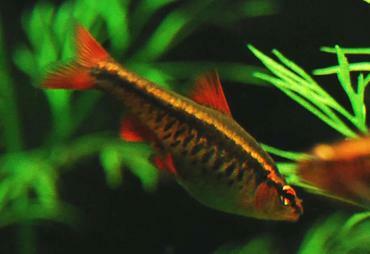 Many of the aggression issues are between males during mating times. 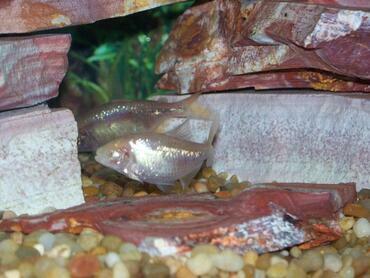 Usually a dominant male will emerge in your tank and he will fiercely drive away any other male competition. 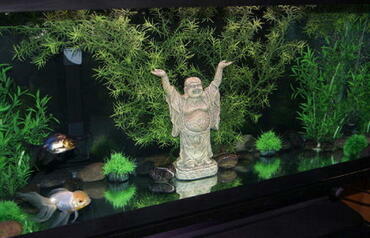 Therefore, it is often a good idea to limit the number of males in your tank. 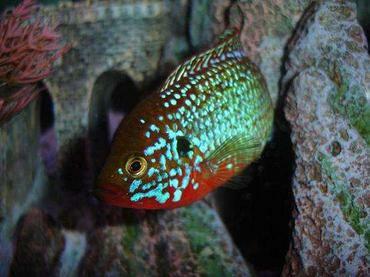 This cannot be done for every species as sexing some cichlids is very difficult. 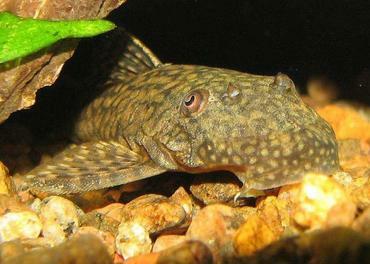 Other species, however, are not that hard and in these instances, you should try to limit the male population. 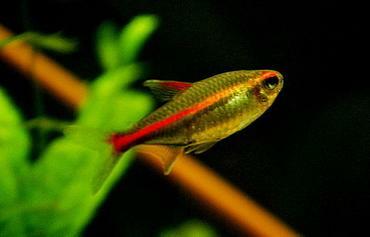 You generally want to provide each male with a small harem (mix 2-3 females per male). 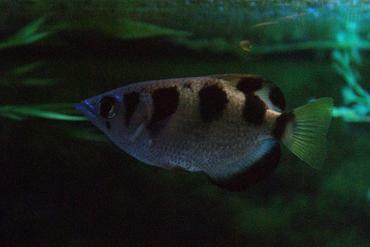 The male will chase the females relentlessly when he is ready to mate. 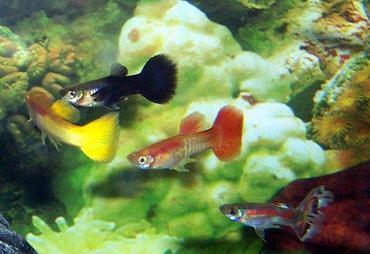 If you have a 1:1 male to female ratio, the male will chase the one female until she dies. 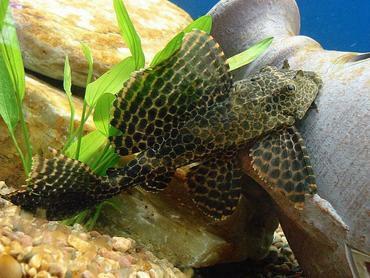 If he is forced to spread his chasing around, the females have a chance to rest before being chase again. 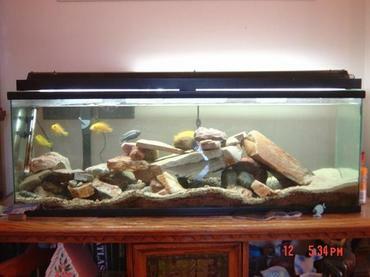 In general, cichlids should be overcrowded. 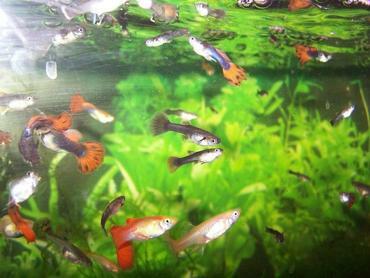 Overcrowding helps to curb aggression by making it difficult for any particular fish to focus on another one. 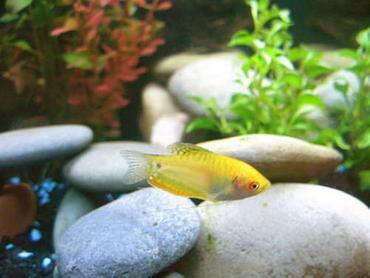 With so many cichlids in the tank, it is difficult for the dominant ones to single out individuals. 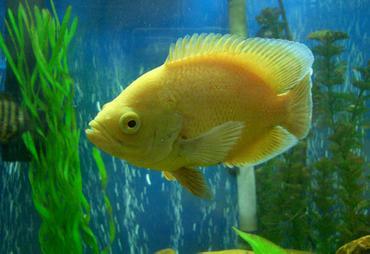 This spreads the aggression out to many fish which means each individual fish is not too stressed. 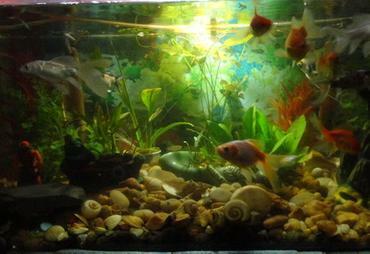 However, you must be careful when overcrowding a tank. 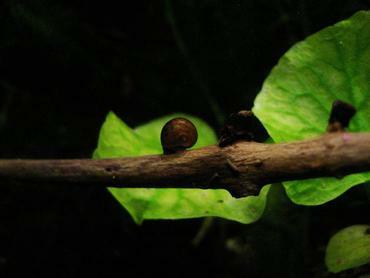 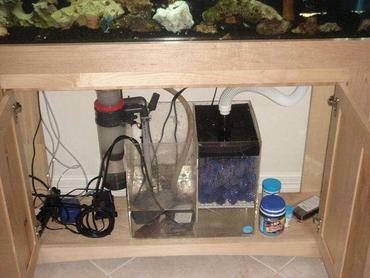 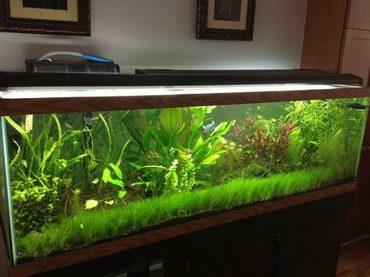 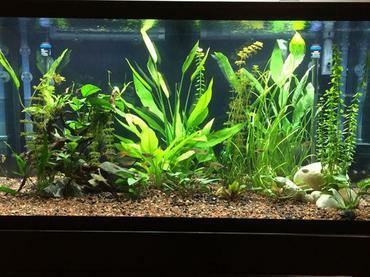 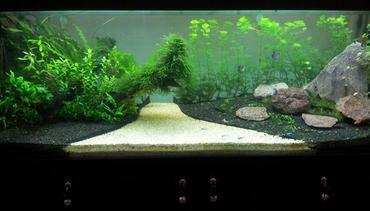 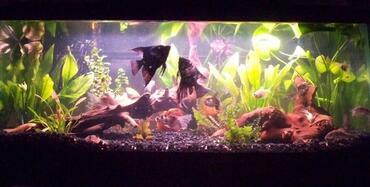 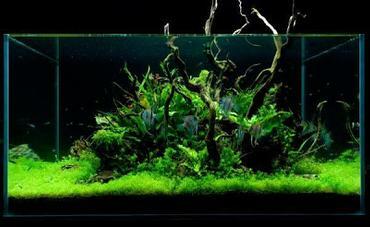 You will need extra filtration to handle the extra load and you will need to be very regular with your water changes. 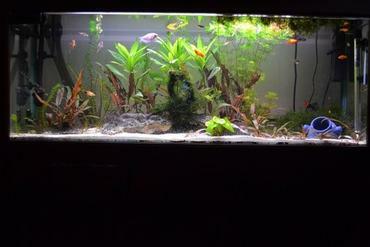 In terms of what overcrowding means, let us look at an example. 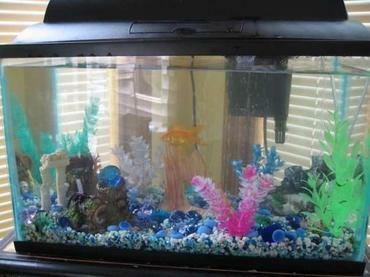 Suppose you have a 58 gallon aquarium. 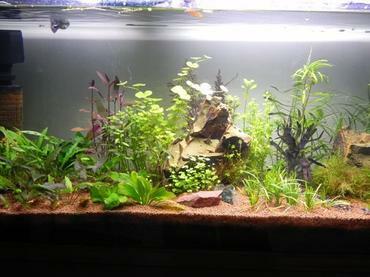 Now, typically you would want around 58” of fish if we are to go by the oversimplified rule of 1” of fish per gallon of water. 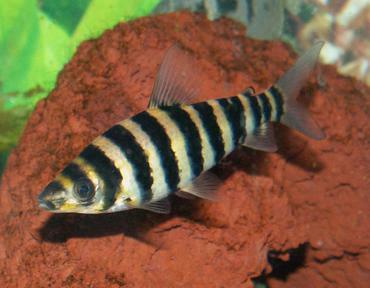 If we stock it with fish that reach an adult size of 4” then we can expect to pick up around 14 fish. 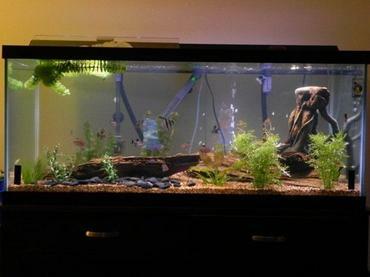 Now, say you pick up three or four more. 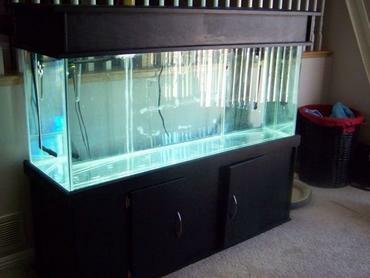 Now you will have 68”-72” of fish. 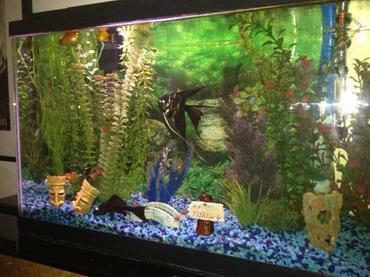 Notice that we did not add a huge amount over the recommended, but we did add a few more to pack the fish in the aquarium. 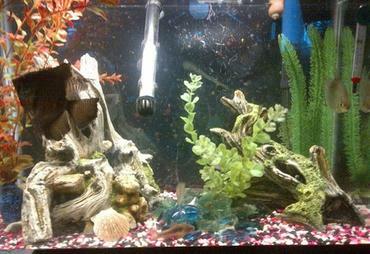 It is a good idea to rearrange your tank every time you add a new cichlid species. 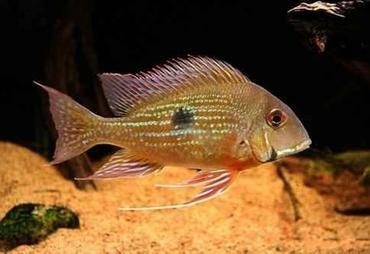 If you do not do this, the established cichlids will already have their areas picked out and will fight the new fish that are unfamiliar with the territorial boundaries. 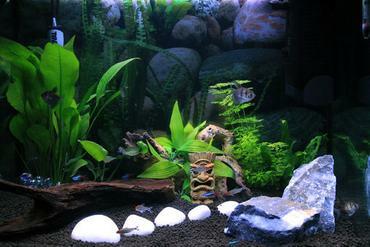 By rearranging the rock work, each species – old and new – has an equal chance at securing a territory. 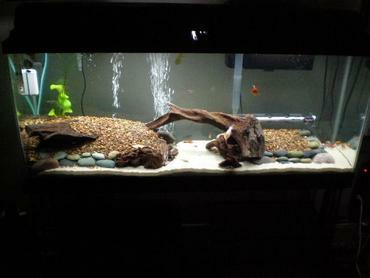 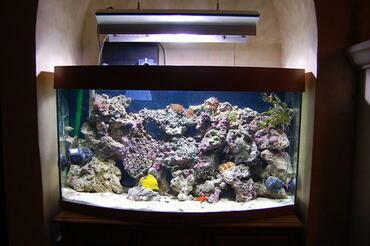 It is also not a bad idea to periodically rearrange the rock work even when no new species are being added. 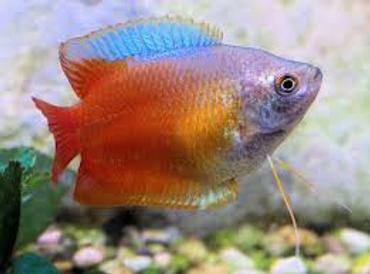 Some people do this every 2-3 months as it helps to break up any territorial strongholds and seems to reduce aggression to a certain degree. 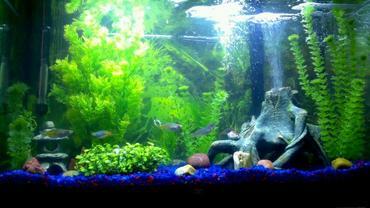 It is also recommended that you introduce the least aggressive species first as you build up your tank to its full stocking. 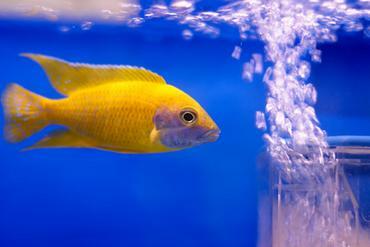 No matter how much research you do, none of it will matter unless you actually bring home the right fish. 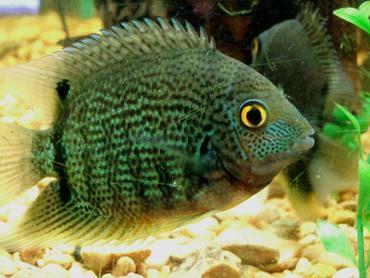 Unfortunately, many pet stores sell several different species of fish in the same tank lumped under the name “African cichlid”. 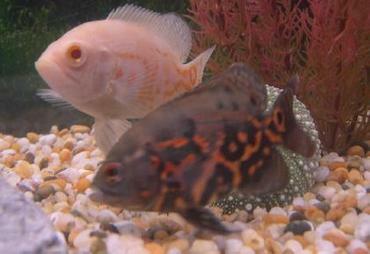 Even if the pet store does label the different species, those labels are not guaranteed to be correct. 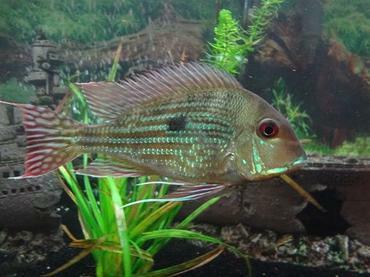 In performing your research, make sure to find out what the fish looks like (in both adults and juvenile form) so you can confirm that the fish you are buying are actually the species they are labelled as. 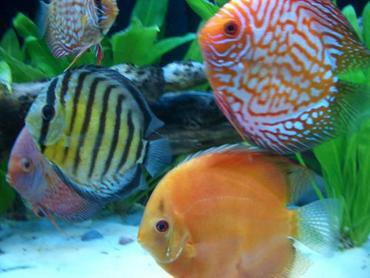 You cannot necessarily count on the staff in the pet store to be able to correctly identify the different species so you should come prepared. 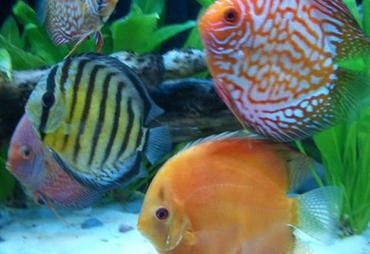 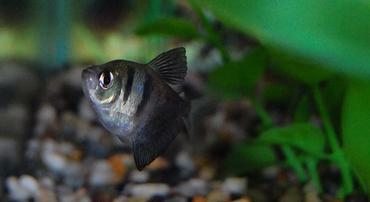 Not all cichlids are the same and it is unfair to group them all into one behavioral group. 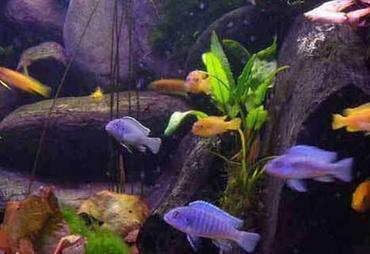 However, the vast majority of the African cichlids are very aggressive and this article is meant to provide some tips on curbing this aggression. 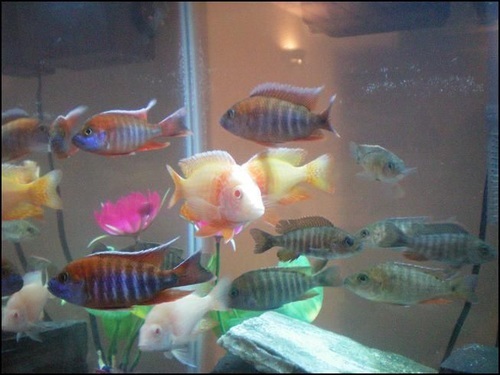 While it is important to research any fish you purchase, it is especially important to research any cichlids you are going to buy. 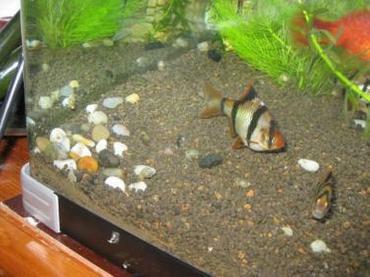 As should have been clear from this article, picking the wrong species can be devastating to your aquarium.